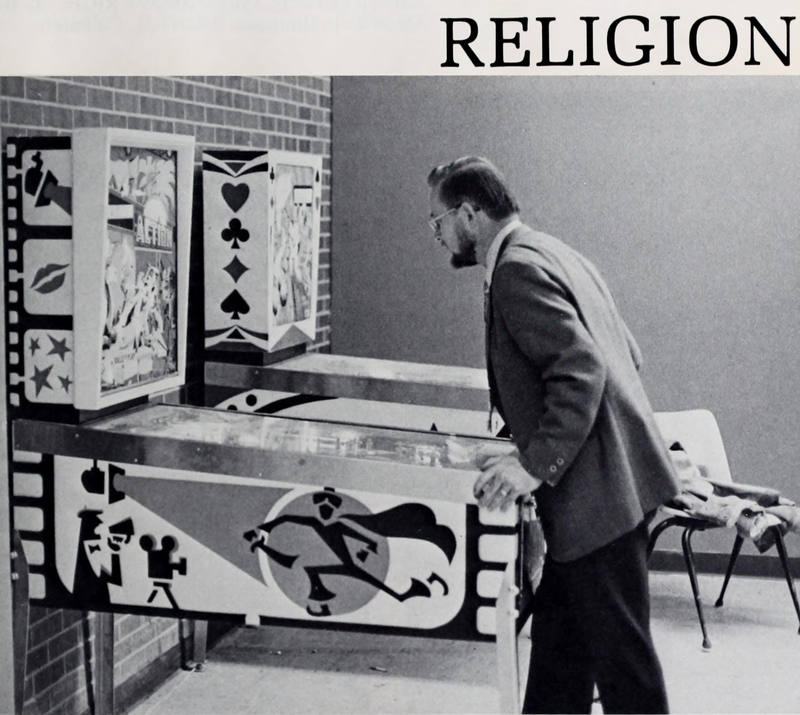 Pinball as an illustration of a college's department of religious studies? According to the Church of the Silver Ball's Pinball Museum (which, sadly, is neither a church nor a museum, according to its own description), pinball can be a religion. Our photo is from Colorado College's 1975 yearbook.